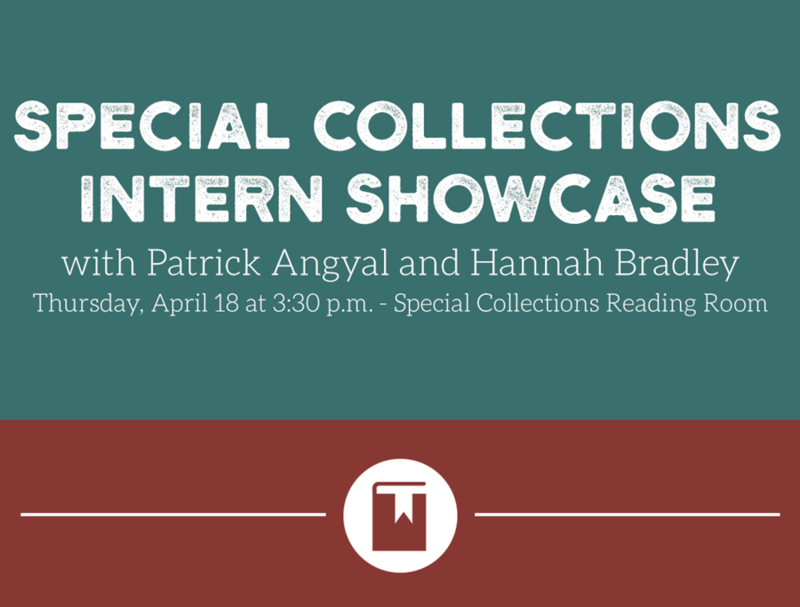 Join the University Libraries at 3:30 p.m. Thursday, April 18, in the Special Collections Reading Room for presentations by student interns Patrick Angyal and Hannah Bradley. The two worked with Joshua Youngblood, head of the Special Collections department's Instruction and Outreach Unit, to curate two exhibits on which the showcase will be centered. This event is open to the public and offered at no cost to attendees. "Having the graduate students work with the rare books and archives in Special Collections not only allows the department to contribute to their learning," said Youngblood, "but it's a great benefit us, bringing new perspectives to our exhibiting and how the collections can be used in new and exciting ways." Angyal's exhibit, The Spirit of Missions: Christian Colonization of Territorial Arkansas, features materials from the 19th century related to perceptions of Native Americans at the time. These items include newspaper clippings, photos, maps and excerpts from speeches and rare books. "Although the subject matter of 'Spirit of Missions' lies outside of my usual area of study, I'm excited to have the opportunity to present this exhibit about an often overlooked part of Arkansas history," said Angyal. Bradley will speak on her exhibit, Rosa Zagnoni Marinoni: Poet and Arkansas Advocate, featuring books and booklets of poetry, newspaper clippings and a poster for the first National Poetry Day in Arkansas. "These materials are important to me as an M.F.A. candidate because they highlight a history of local interest in poetry and a variety of publishing practices," she said.